We are A global inspiration agency. We train smart for happiness, joy, resilience and purpose, empowering you to be your very best. Stand Up For Passion produces live events across the world as well as offering workshops, seminars, public speaking and more. SUFP is firmly rooted in founder Arnaud Collery’s pioneering work on happiness in the the workplace - using passion to accelerate purpose, and therefore accelerate joy, whether you’re on a retreat or in your own office. These revolutionary concepts have facilitated immediate increases in employee creativity and productivity, increased involvement/buy-in, improvements in culture, and happiness for organizations across the world. 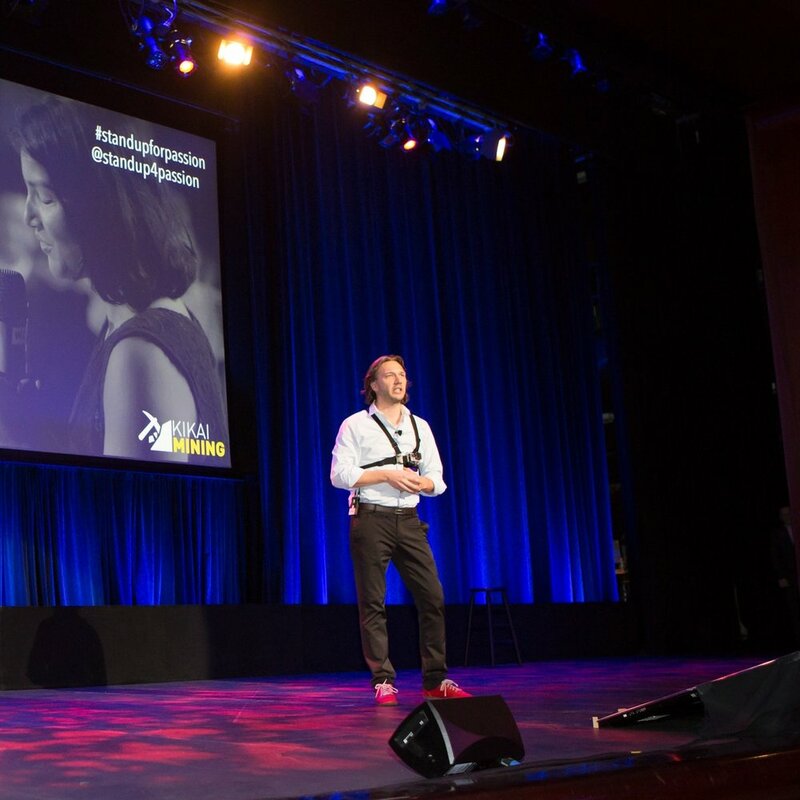 Recently Arnaud and Stand Up for Passion have created experiences worldwide. Click below to see what we've been doing and where. HAPPINESS = MORE PRODUCTIVITY, CREATIVITY, ENGAGEMENT AND RETENTION. SUFP is a full-service inspiration agency. Founded by Arnaud Collery, SUFP's mission is to bring purpose and resiliance to individuals and corporations around the world. Get notified when Mister Happiness is available in English and receive important updates, wisdom and news from SUFP.